Clearly distinguish processed from unprocessed items when used as directed. 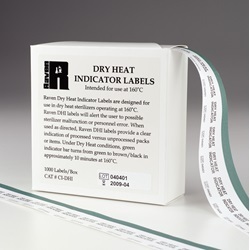 DHI Labels received a 510K notification for use as a process indicator for Dry Heat Sterilization at 160°C. DHI Labels are manufactured in an FDA registered facility pursuant to current Quality System Regulations (QSRs). 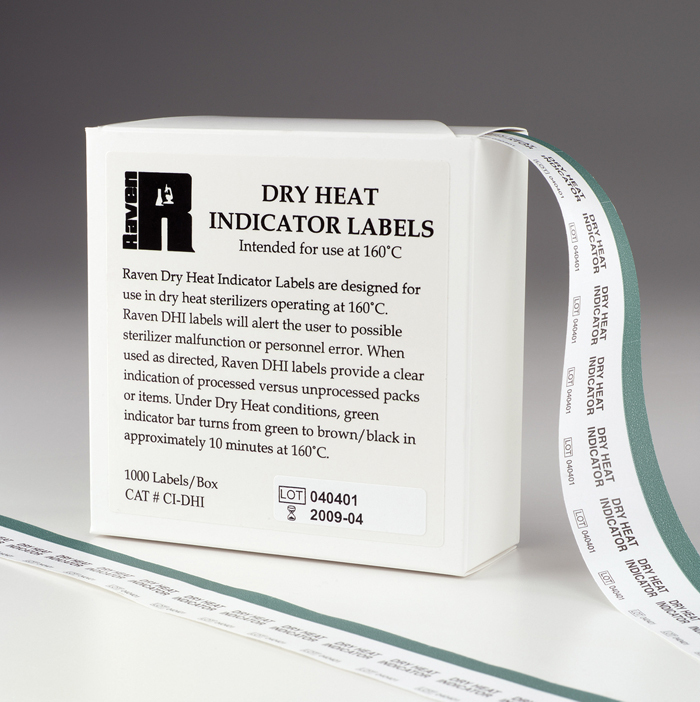 The labels are printed with a chemical indicator that changes from green to brown when exposed to Dry Heat conditions. This color change allows the technician to immediately distinguish processed from unprocessed items. Color change is non-reversible. Eliminate personnel error and confusion by applying DHI Labels to all items to be sterilized. DHI Labels also can indicate sterilizer malfunction. DHI Labels are adhesive backed allowing them to easily be applied to items.